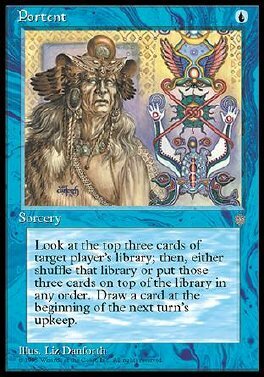 Look at the top three cards of target player's library, then put them back in any order. You may have that player shuffle his or her library. Draw a card at the beginning of the next turn's upkeep.